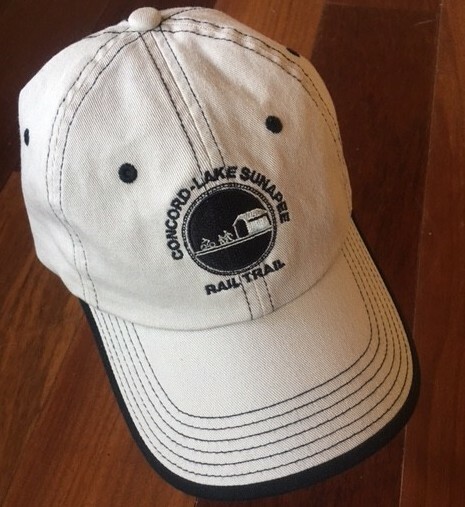 Make a $100 tax-deductible contribution to Concord-Lake Sunapee Rail Trail and earn a limited edition rail trail baseball cap as a thank you gift. Look your best and show your support for the trail with a Concord-Lake Sunapee Rail Trail cap. Make a tax-deductible donation of $100 or more and get your limited edition baseball hat before they run out! Lightweight khaki hat is comfortable in all seasons, and smooth velcro back strap adjusts to fit all sizes. This entry was posted in All Towns on December 12, 2016 by Kristen Riley.